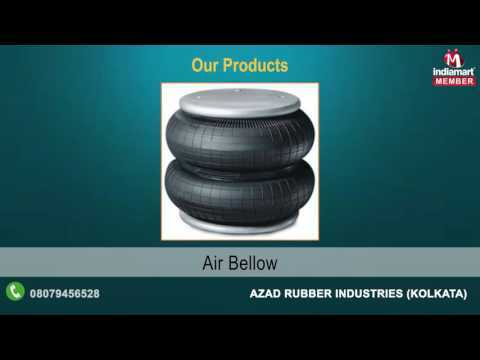 We Azad Rubber Industries are considered in the market to be one of the leading manufacturers, exporter and suppliers of this impeccable range of Expansion Joints & Bellows, ever since our establishment in the year 1980. The range provided by us in the market, is made up of the finest Chrome Leather Bellow, Cast Polyurethene Moulding and Nylon Impregnated Neoprene, having a high preference in the market. Making of this range is done as per the set industry norms and guidelines, utilizing the finest raw materials and modern machines. This ensures the product%u2019s strength, durability and dimensional accuracy. In addition to this, the range is marked at the most reasonable rate possible.